Connor Grant played two seasons for the Crusaders after transferring from the College of Charleston. In his sophomore season in 2017, he put together a .338 AVG and a .388 OBP. He led the team in triples with 5 and stolen bases with 29. Grant continued to produce in his junior season in 2018, posting a .367 AVG and a .432 OBP. Drafted by the Miami Marlins in the 21st round, Grant currently plays for the GCL Marlins, a Rookie League team in Jupiter, Florida. John Jones played his senior season with North Greenville as a transfer from the University of South Carolina. He led the Crusaders with a .392 AVG and a .457 OBP. Jones was drafted by the Oakland Athletics in the 32nd round, and currently plays for the AZL Athletics, a Rookie League team in Mesa, Arizona. Clark Scolamiero transferred to North Greenville from the University of South Carolina and made an immediate impact, posting a .360 AVG and led NGU in stolen bases with 29 for the 2017 season. He was selected in the 22nd round of the 2017 MLB Draft by the Cleveland Indians, and currently plays for Cleveland Single-A affiliate Mahoning Valley Scrappers. Nathaniel Maggio was drafted by the Seattle Mariners in the 32nd round of the 2013 MLB Draft, but chose to play college ball at the University of Tennessee. After two seasons at Tennessee, Maggio transferred to North Greenville. In his junior season, he set a program record for home runs in a season with 17 and led the team in doubles (20) and RBIs (49). Maggio currently plays for the Lincoln Saltdogs of the American Association of Independent Professional Baseball. Zack Kamerman transferred to NGU from Nyack College, where he played for two seasons. As a starter, he pitched 20 games and posted a 3.04 ERA for his junior year. He had an impressive senior year as well, starting 11 games and posting a 3.38 ERA. 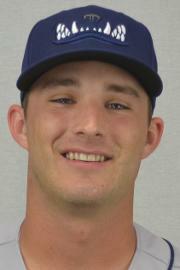 In 2017, Kamerman played for the High Desert Yardbirds of the Pecos League of Professional Baseball Clubs. Hunter Dilworth played at North Greenville for two seasons after transferring from USC Salkehatchie. He was a starting pitcher but also spent time at the plate as well. He started twelve games and posted a 3.11 ERA for his senior season. After graduating from NGU, he played in Perth, West Australia for the Wembley Magpies, and was the team's MVP. Dilworth has returned to North Greenville for the 2018 season as an undergraduate assistant. Adam Boghosian tranferred to NGU from the University of North Carolina at Greensboro. As the team's closer in 2015, he posted a team-leading 1.53 ERA and set a school record in saves with 13. 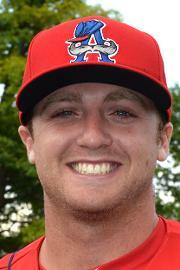 Drafted in the 22nd round of the 2015 MLB Draft by the Washington Nationals, he last played for Washington's Single-A affiliate Auburn Doubledays in 2015. Allen Staton spent played for four years at North Greenville. After posting a .383 AVG his freshman year in 2012 and a .387 AVG his sophomore year in 2013. Staton was one of the few bright spots for the Crusader offense in 2014, leading the team with a .361 AVG. In 2015, Staton set a program record for doubles in a season with 23 and another record for total bases in a season (149). 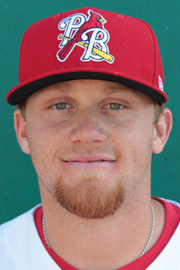 In 2015, Staton signed with a St. Louis Cardinals organization as a free agent. He last played for the Springfield Cardinals, a Double-A affiliate of St. Louis. Ryne Frankoff played at Appalachian State University before transferring to NGU for the 2015 season. 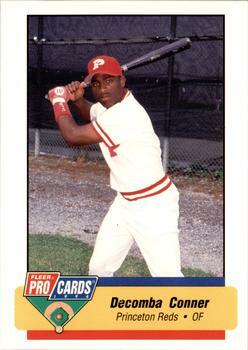 After graduating, he played for the GPL Phillies, a rookie affiliate of the Philadelphia Phillies. Herb Goodman was drafted in the 7th round of the 1995 MLB Draft by the Cincinnati Reds. He spent four years in the minor leagues and last played in 1998 for the Somerset Patriots, an affiliate of the Atlanta Braves at the time. Decomba Conner was drafted in the 7th round of the 1994 MLB Draft by the Cincinnati Reds. Spending six years in the minor leagues, he played for nine different minor league teams and last played in 1999 for the Wilmington Blue Rocks, a minor league affiliate of the Kansas City Royals. 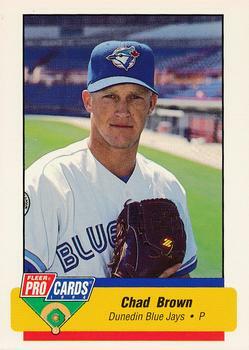 Chad Brown was drafted in the 19th round of the 1992 MLB Draft by the Toronto Blue Jays. His seven-year minor league career was almost entirely spent in the Blue Jays' organization. He last played in 1998 for the Carolina Mudcats, a Double-A affiliate of the Pittsburgh Pirates at the time. Riley McKelvey was drafted in the 60th round of the 1989 MLB Draft by the Montreal Expos. Mike Montagnino was drafted in the 27th round of the 1985 MLB Draft by the Montreal Expos. He also played college ball at Palm Beach Community College and the University of North Carolina-Charlotte. Russell Whittle was drafted in the 28th round of the 1985 MLB Draft by the Cleveland Indians. George Gilbreath was drafted in the 14th round of the 1971 MLB Draft by the Atlanta Braves. Ronald Burns was NGU's first ever draft pick. He was drafted in the 5th round of the 1970 MLB Draft by the New York Mets.